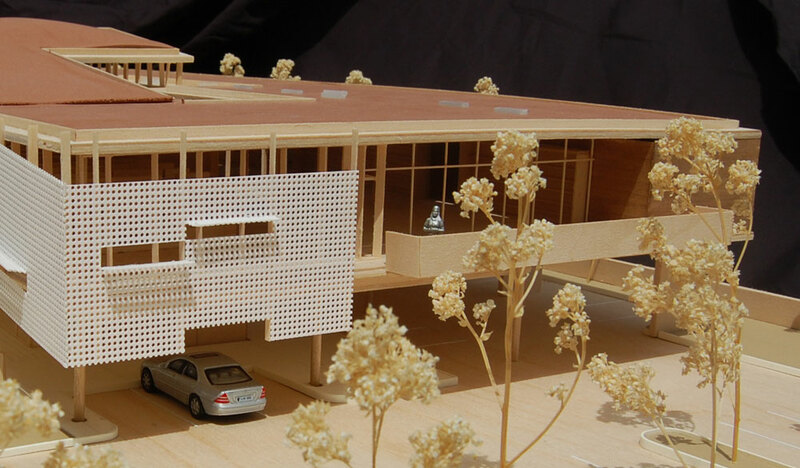 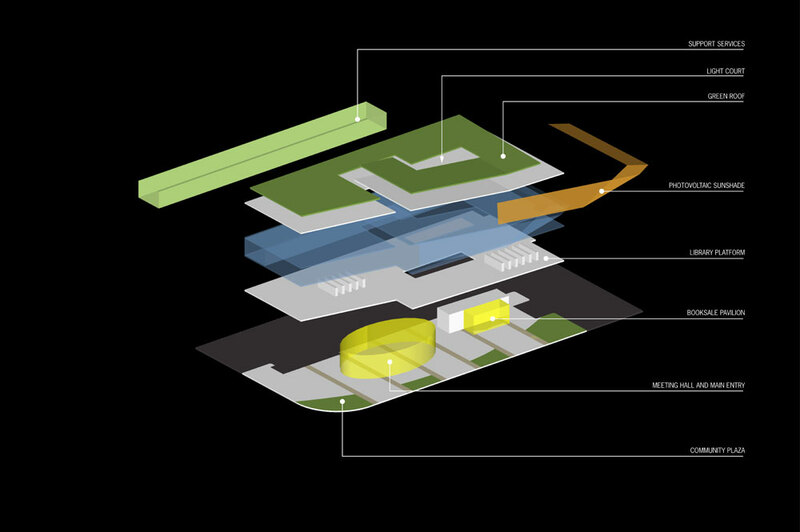 A design strategy of stacking was developed to replace a smaller branch library on the same property. 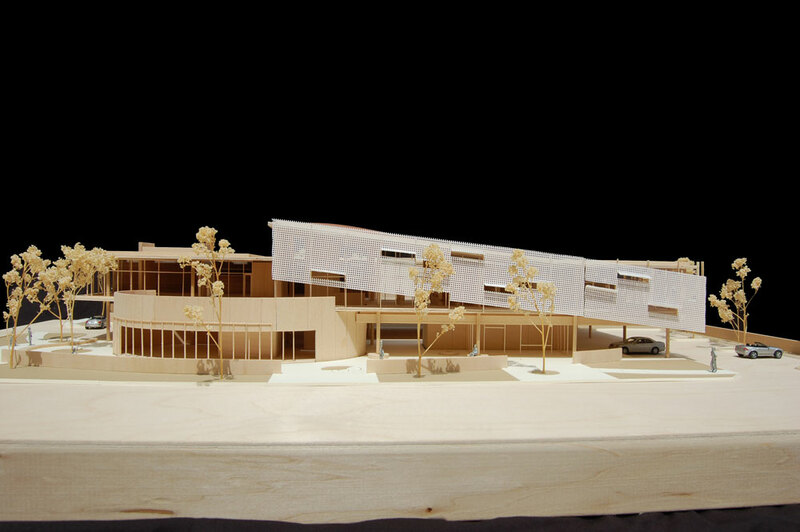 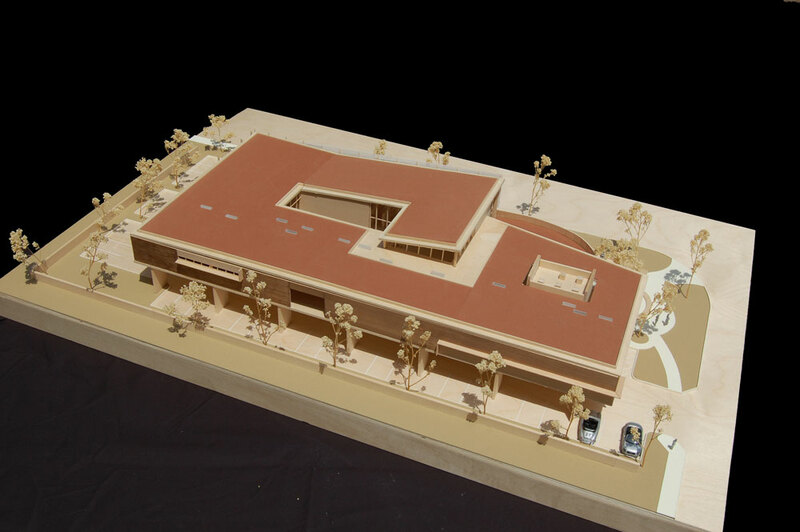 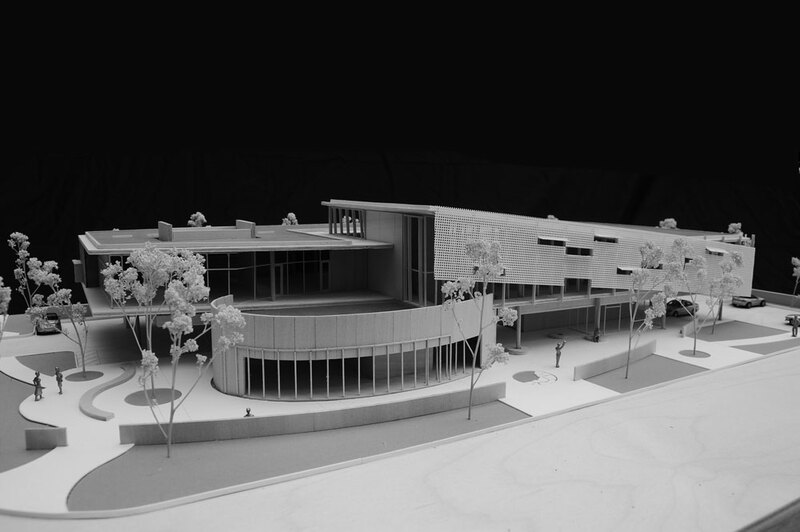 The design lifts the main library program up and creates a new public street/plaza activated by the building entry, community meeting hall and book sales areas. 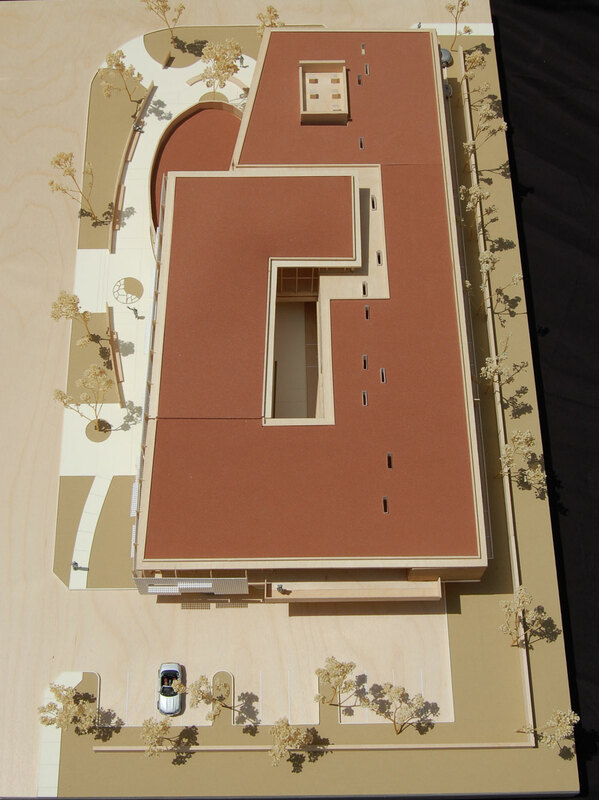 The second level library takes advantage of natural day light, outdoor terraces and an open structural system supporting flexible planning and infrastructure needs.